Get the KGW News app for weather, traffic and news on demand! 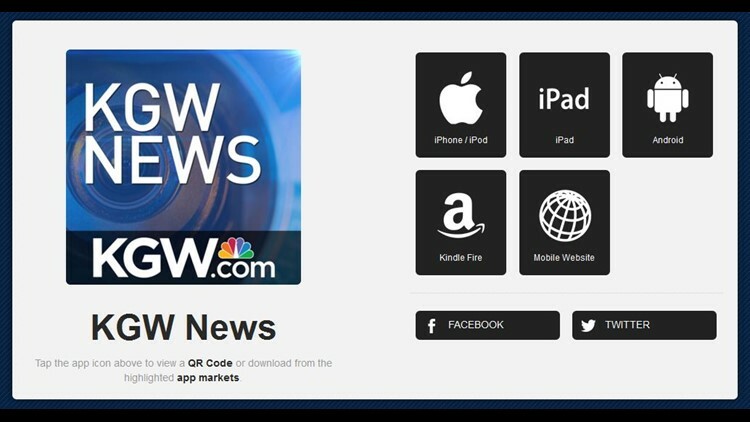 Take the KGW News app with you everywhere you go and be the first to know of breaking news happening in Portland, in Oregon, and in and around Southwest Washington. You can also download the Portland Traffic app for live speed maps, crash incident reports, ODOT traffic cameras for all major metro area routes, and the latest, lowest gas prices in the Portland/Vancouver area. And when severe weather threatens, be the first to know with weather alerts, live Doppler radar maps, and an interactive hurricane tracker on the Portland WeatherCaster app. Keep dry using our live, down-to-the-minute, forecast of when it will rain at your exact location.